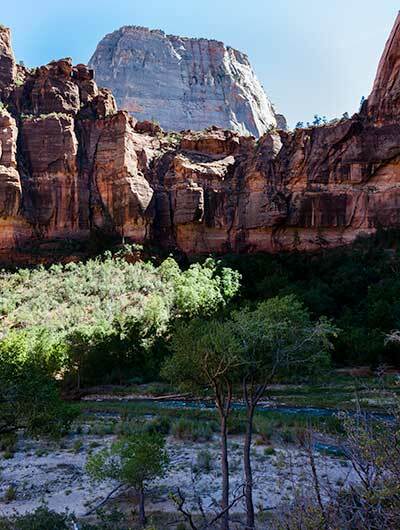 Zion National Park is different from the other Utah parks because the canyon in Zion is formed by the Virgin River. 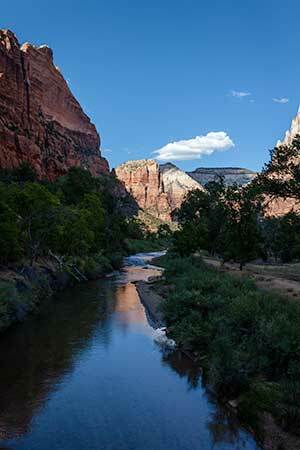 The Virgin River flows year round, so it can work all the time cutting the canyon. This is unlike the erosion feature in Bryce National Park, and Cedar Breaks National Monument which were created by a combination of flash flood, freezing and thawing, and wind. We were surprised by the size of the crowds at Zion. The campgrounds were full, the lodge was full, and the motels near the park were full. Based on our experience in other National Parks, we assumed that in mid-September the crowds would have thinned out quite a bit. Instead we found large crowds everywhere. Many of them were from overseas enjoying the beauty of our country. All travel in the canyon part of Zion is by shuttle buses. We found that the shuttle system was very efficient and the drivers were very helpful. 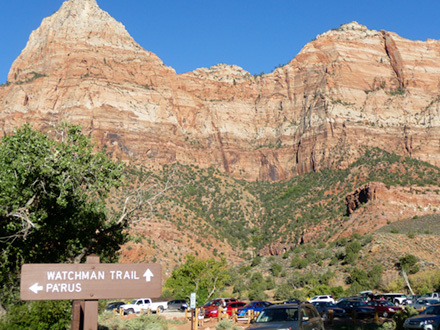 Because Zion is a small park, it would be impossible to accommodate any significant number of private cars in the park. 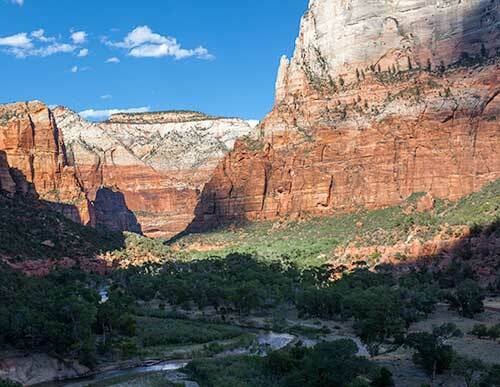 The drinking water that the park service provides in Zion come from water that has seeped through the sandstone formations in the park. 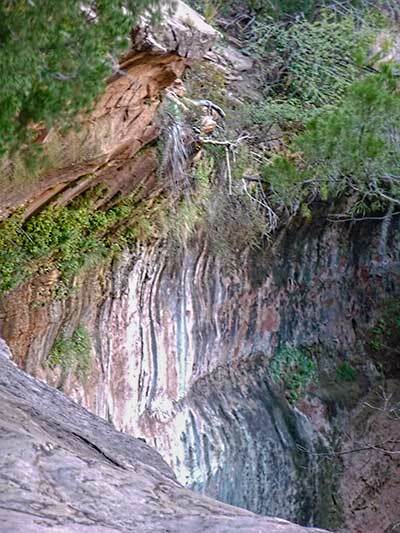 It is estimated that it takes about 1,200 years for the water to move through the sandstone to appear here. Because it's been filtered for over a 1,000 years, the water is very pure. 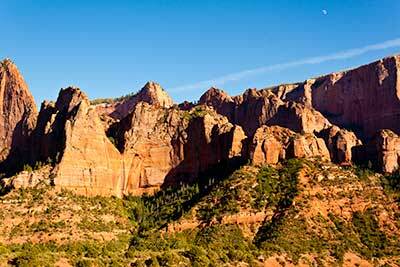 A visit to Zion National Park should include a trip to Kolab Canyons. 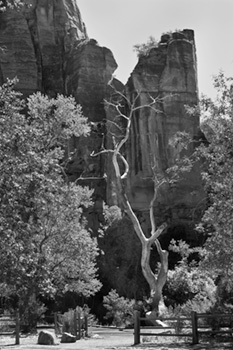 The Kolab Canyons part of Zion is often overlooked. 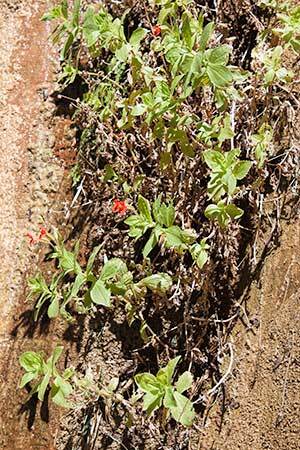 There are several trails that are well worth the time spent hiking. Travels with Nessie Home :: Site Map:: Contact webmaster@ncsparks.com-email us:: Copyright Leslie Sparks 2006, 2007, 2008, 2009, 2010, 2011, 2012,2013,2019:: Last modified: March 20 2015.